Arg, that's one macho 'stache ya got there, me matey! Great barnacles, you've got tentacles wiggling from the spot where your whiskers should be! There aren't many pirates sailing the seven seas who can boast of that accomplishment, so consider yourself to be lucky, ye scallywag. You're practically akin to the great Cthulhu and other swashbucklers would forfeit their sharpest sword to have tentacles swishing around by their rum-guzzling mouths! 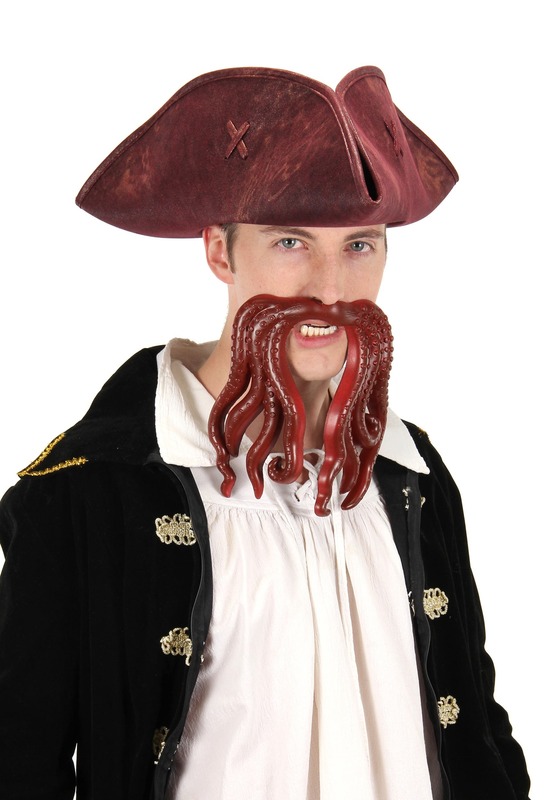 Yar matey, ye are one blessed treasure-hunting pirate and we would make 100 men walk the plank just to have a squidstache like yours! This cool and unique pirate accessory is the perfect way to enhance your pirate costume and turn you from someone that swabs the poop deck into the Captain of the whole ship. 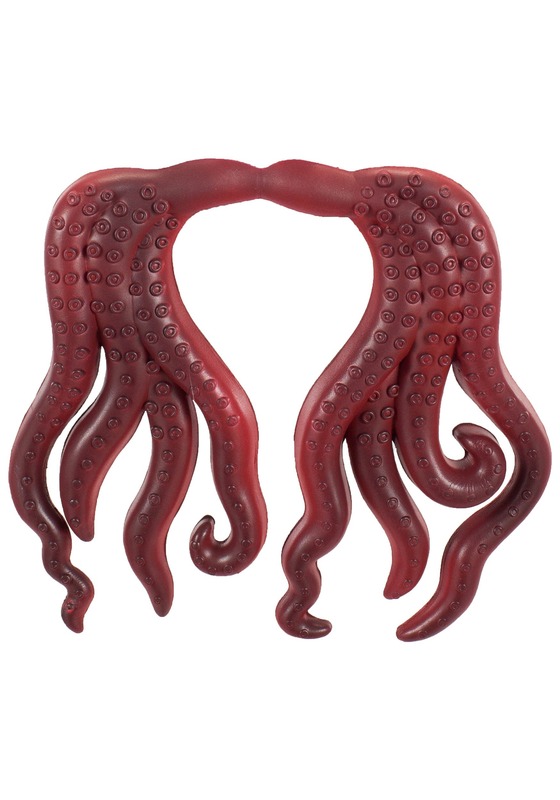 It works with any pirate costume that you pick out and the squishy tentacles are soft so they won't irritate you. In fact, you may even like to wear this giant squidstache on a daily basis. You'll definitely steal the thunder from all of the other bearded guys around you!